Writing history with water and salt – two essential items for the hunger strikers. By permission from Mohammad Sabaaneh. There is a process by which prisoners and former prisoners are provided financial support and the closure of this fund will choke their families’ only means of survival. The claim made by Israel is that the funds supports terrorism. This is much like the claims made upon the closure of the Holy Land Foundation in the United States in 2001. The US government claimed that by providing for the families of Palestinian prisoners, the Holy Land Foundation was supporting, and even encouraging terrorism. The Palestinian National Fund also provides, or provided, the salaries, meagre as they may be for the army of lawyers who work tirelessly to defend and fight in the Israeli courts for the rights of the Palestinian prisoners. The lawyers are there to deal with a huge array of issues like health care that the Israeli authorities regularly deny the prisoners and for which lawyers must fight. There are special needs which would seem obvious to anyone on the outside, like proper nutrition, visitation rights, beds and blankets and medication but they all require that the lawyers put in endless hours for which, at the end of the day, they need to be paid. The ruling by the Defense Minister also implicates the lawyers themselves with supporting terrorism because they are engaged of getting the money to the families of prisoners that Israel sees as terrorists. One Palestinian attorney told me the following story: The Fund provides stipends for former prisoners, veterans of the Israeli jails. The lawyers need access to documents from the Israeli police and courts to prove exactly what a prisoner needs to receive from the Fund. They need to show, for example, how long a prisoner spent in prison, the exact dates of the encarceration, and with what he or she was charged. The attorney needs to make the case to the Fund to determine how much should be paid. There is a pay scale that determines all of this and so documents are crucial. My friend who works part time for the prisoners told me he needs to negotiate with the Israeli authorities to gain access to these documents and the Israeli authorities have been as of late warning him and other lawyers to “be careful.” He was told that the authorities know what he are trying to do, which is helping former prisoners and the families of current prisoners access funds. Stopping payment for the prisoners and their families will have catastrophic results on people who have already paid a heavy price and who have, at the end of the day committed no crime. Many former prisoners are unable to work because of disabilities they incurred while in jail. After years of imprisonment that always involve torture and harsh conditions there are often permanent and in some cases irreversible ailments that require ongoing medical treatment and so medical bill need to paid. The family may have lost their home and so a new one must be found. Palestinians are burdened with restrictions upon restrictions which in turn require permits upon permits. This is a lucrative business for the Israeli authorities, becasue these permits cost thousands of dollars – yet another burden on families and particularly ones that already at a disadvantage. But for Israel the only concern that matters is that providing the prisoners and their families much needed financial support gives legitimacy to the prisoners’ cause. After all, if they are terrorists they deserve what they received and should be given nothing. It stems from the rationale, if one can call it that, that no legitimacy can be given to the Palestinian struggle and that the people who resist, as well as their families must be punished for all eternity. As we see yet again, the Palestinian prisoners are unrelenting fighters who will never stop fighting until justice and freedom are achieved. Exactly four years ago, in April 2013, I was taken to pay my respects at the grave of Bobby Sands, an IRA volunteer who died in prison as a result of a hunger strike. I was asked to read a message that was published that day by another hunger striker, Samer Issawi. Samer was close to death but thankfully defied death and survived 266 days without food. I read Samer’s message in front of Bobby Sands’ grave not knowing whether he will live or die. We must all stand with the Palestinian prisoners to see that their demands are met soon and every effort must be made to reverse the draconian move by Israel to financial choke the prisoners and their families. As thousands of Palestinian political prisoners jailed by Israel are going through a hunger strike, we would do well to delve into the deeper, more personal and historical aspects of Palestine. 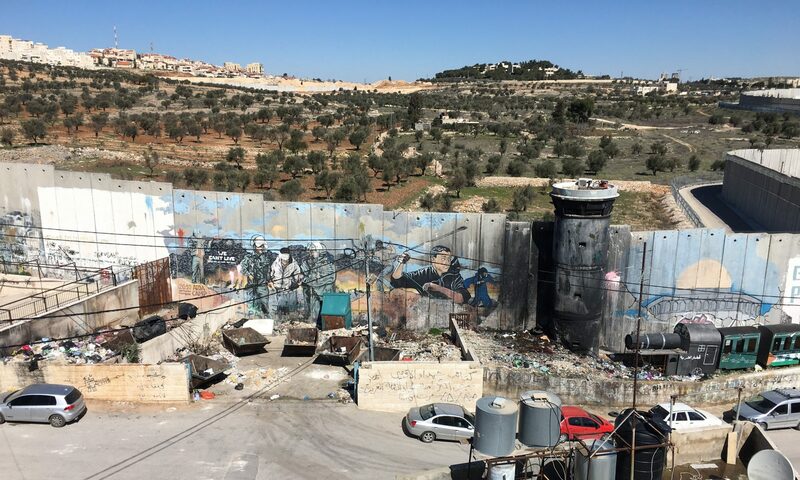 Though the politics and violence of settler colonialism have determined its fate for almost one hundred years, Palestine is not just a “case” or an “issue,” it’s personal. My dear, dear friend Nader Elbanna said to me a long time ago, “The Palestinian tragedy is more than just losing the house and the land.” None of us will ever fully understand Palestine, none of us who are not Palestinian, that is, because it is personal. But there are ways to learn. Visiting Palestine is a good start. Living in Palestine is good too and learning Arabic affords a glimpse. Reading Ghassan Kanafani’s stories is moving and enlightening. Ghassan Kanafani, in his short stories presents an intensely personal narrative and paints a picture that is painfully detailed. In one of his short stories, a young man asks, “would you like to hear about my life?” and he proceeds to describe a mother who died under the ruins of a house in Safed, the house that was built for her by her husband. He describes the father, now working in another part of the Arab World and unable to see his children, and a brother “learning humiliation” in an UNRWA school. In another short story Kanafani describes a father who is standing in the rain leaning on a broken shovel, taking a break from the back- breaking work of digging a ditch in the rain. He is digging in an effort to stop the rain water from flooding a tent where his family, now refugees, must live. He is cold, tired and hungry but avoids going inside the tent, not wanting to see his wife’s glare, knowing she blames him for the inevitable state of being unemployed and unable to provide for his family. Seeing his child wear a torn, old shirt he contemplates taking part in a scam operation, stealing bags of rice from the UNRWA storage facility and selling them on the black market. “The guard is in on it and for a small fee he will look the other way,” he is told by a man of whose morals he does not approve, and whose very presence makes him uneasy. The occupation of Palestine is not only about the brutality that is inherent in settler colonialism but the daily, painful existence of a nation that is denied the right to live in the land to which it belongs. A nation forced to live in abject poverty in camps that are unfit for humans and which exist just hours away from the land and the homes from which they were kicked out. A land for which they have the deeds, and homes for which they still hold the keys now inhabited by Jewish settlers. “For us, to liberate our country is as essential as life itself” Kanafani says to an Australian reporter in a rare interview in English. He is fierce and forthright, sitting in his office, with photos of Che Guevara and Ho Chi Minh behind him. But Palestinians are permitted only to be victims or terrorists, never freedom fighters or heroes. If Palestinians wrote “Live Free or Die” on a license plate they will be accused of terrorism and locked up, deported or simply killed, though in New Hampshire it is the official motto. Ironically, Israeli children learn about a legendary Jewish hero who, having been killed in battle in Palestine said, “it is good to die for one’s country” though clearly, he was fighting to take the country of others. Kanafani was brutally murdered, along with his young niece Lamees who was only seventeen, for saying and doing just that – fighting to liberate his country. Since his assassination by Israel almost half a century ago, countless Palestinians were killed by Israel, some fighting, most while sleeping in their beds or trying to flee. Kanafani talks about “them,” the “Yahud” the Zionists who colonized Palestine and exiled his people, turning them into “people with no rights, with no voice.” “They have put enormous efforts into trying to melt me,” he writes, “Like a sugar cube in cup of tea.” And he talks about “You” the Arab authorities under whom Palestinians are now forced to live. “You had managed to melt millions of people and lump them into one lump, into a single thing you can now call ‘a case.’” And, he continues, “now that we are all ‘a case’” there is no personal attachment to any single person or story. How convenient. That is what allows for the ease with which the world treats the Palestinian tragedy. That is how the West can sell Israel the weapons and technology with which it slaughters Palestinians by the thousands and maintains the oppression.